How do you want your hard drive to be? Do you like it boasting huge memory? Do you want it capable of quick data transferring? Do you want it loaded with security protection? What if you can have all of these features in one sleek and flawless hard drive? We’re pretty sure you wouldn’t want to miss it! Introducing the Hitachi Touro Mobile Pro and the Hitachi Touro Desk Pro, the latest products developed by Hitachi, a worldwide leader in technology innovation. With the new line of USB 3.0 hard drives, the company’s objective is straight and simple: extra protection made effortless. Indeed, both Hitachi USB 3.0 hard drives promise extra security as they are pre-equipped with two levels of protection: local and cloud storage software. Touro Pro allows users to not only better safeguard their personal photos, valuable music and movie collections, as well as secured and classified documents, but also grant them exclusive access to them anywhere and anytime. Use your PC or even your smartphone to browse and view them from wherever you are. You may also allow other people to view your online content just by sending them a web link to your files. The devices are equipped with 3GB of USB cloud storage. For users with more files, an optional upgrade to a paid account may be done. For around $50 a year, you can get up to 250GB of cloud storage plus iPhone and iPad mobile digital device programs. However, the Touro Pro hard drives are already pack a huge memory capability. The Hitachi Touro Mobile Pro comes in 500GB and 750GB while the Desk Pro comes in 1TB, 2TB and 3TB. To make the Hitachi Touro hard drive even more functional, Hitachi adopted another great feature: USB 3.0, which enables the hard drive to accomplish more quick and convenient data transferring that is 10 times faster than USB 2.0. Not to worry if your PC don’t support USB 3.0, as the hard drives’ backward compatibility lets it work with USB 2.0 so you can definitely use it with your USB 2.0 ports. The hard drives are compatible with Windows XP, Vista and Windows 7, as well as Mac OS 10.5 or newer versions. The Touro Mobile Pro is already available while the Desk Pro is said to be out in the market by June. Both hard drives come with 2 years of limited warranty. We only see two downsides. One, the hard drives also provides 3GB of cloud storage for free. What can you do with a mere 3 gigs? Secondly, they really resemble some of Apple’s distinct products. 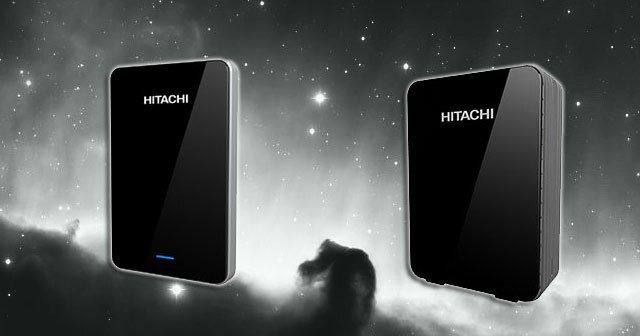 What do you think of the Hitachi Touro hard drives? This entry was posted in Articles, Hitachi Global Storage Technologies, Hitachi GST, Hitachi Touro Pro, Hitachi USB 3.0 Hard Drives, SuperSpeed USB 3.0, Touro Pro, USB 3.0, USB 3.0 Hard Drives and tagged Hitachi External Hard Drives, Hitachi GST, Hitachi GST USB 3.0 Drives, Hitachi Touro Mobile Pro, Hitachi Touro Pro, Hitachi Touro Pro Desktop, Hitachi Touro Pro USB Hard Drives, Hitachi USB 3.0 Hard Drives, Touro Mobile Pro, Touro Pro, USB 3.0 Hard Drives. Bookmark the permalink.